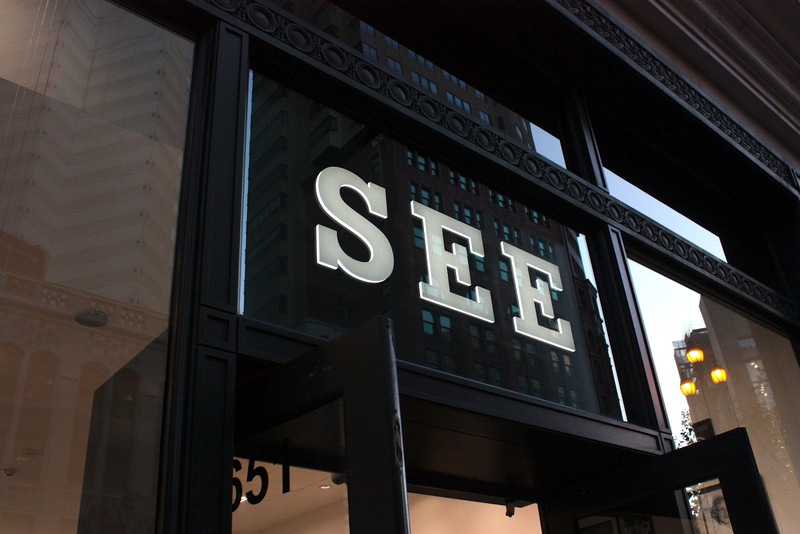 Last week I attended the SEE Eyewear grand opening gala at their new digs on Market Street in San Francisco. 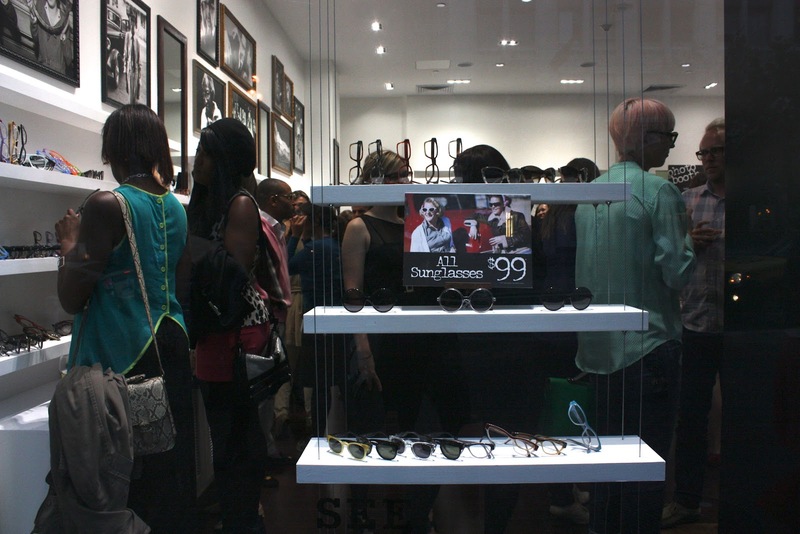 From the second I saw their storefront, I knew it was going to be good (sunglasses for $99!). 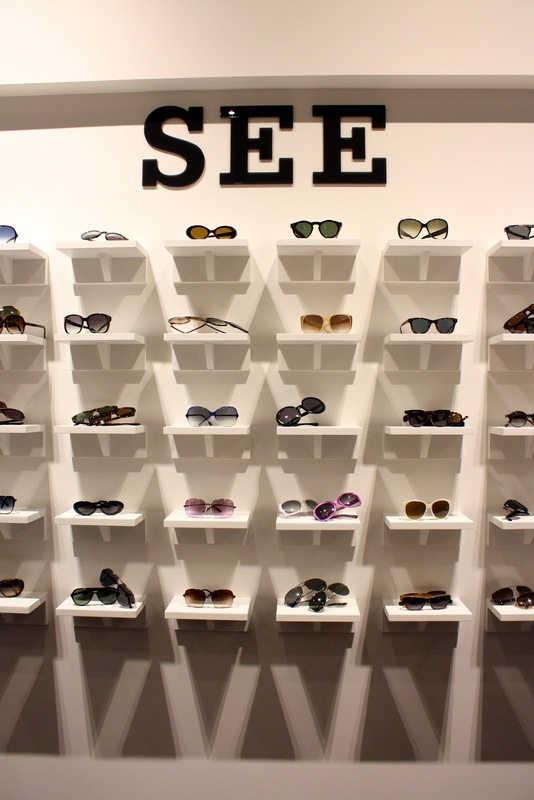 I adored their wall of shelves for eyewear. 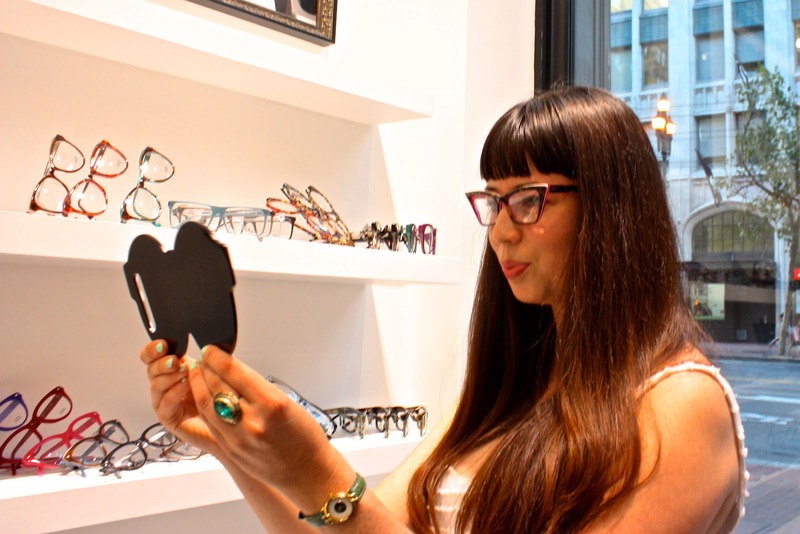 How cute is Eli of Thrifteye in these SEE frames? 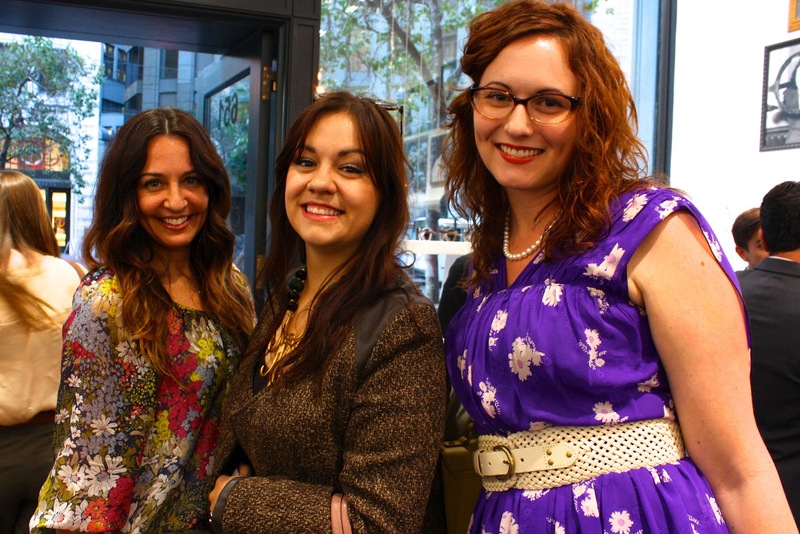 The always gorgeous Kristen of Stylenik and Rebecca of Thirty-Five Inch Inseam. 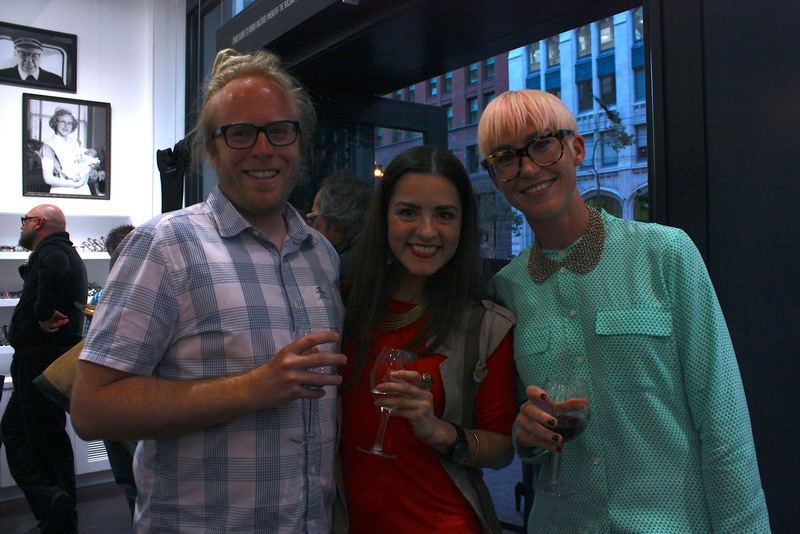 Ben, Maria of Kitties and Couture, and Santina of Style by Santina. 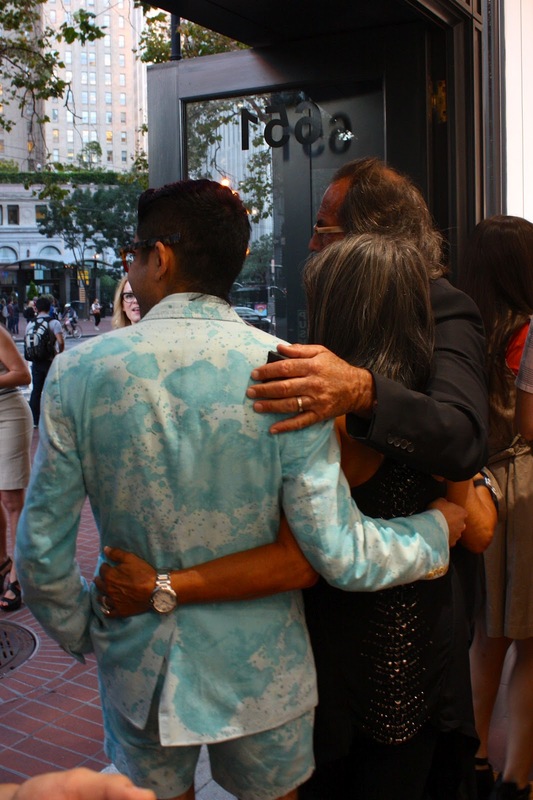 Project Runway All Stars Winner Mondo Guerra, with SEE Founders Richard and Shelley Golden. 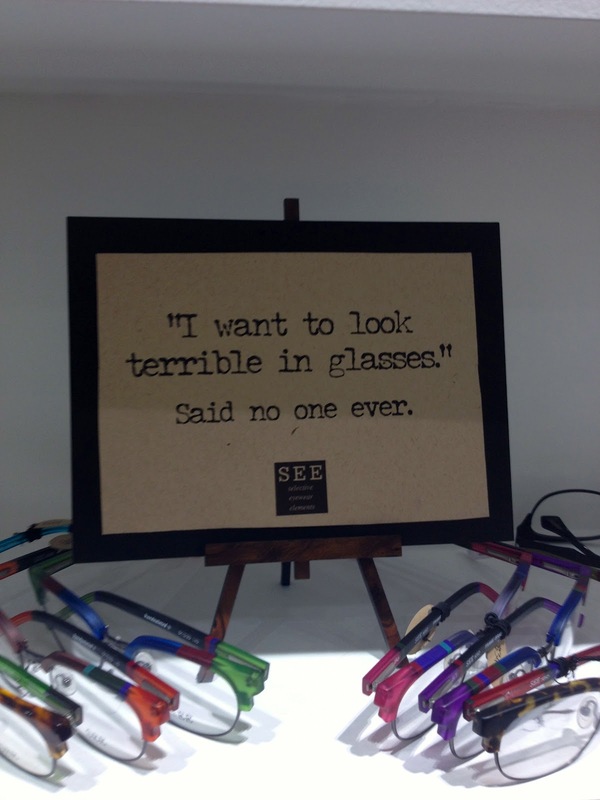 I LOVED the little signs they had all over the store. 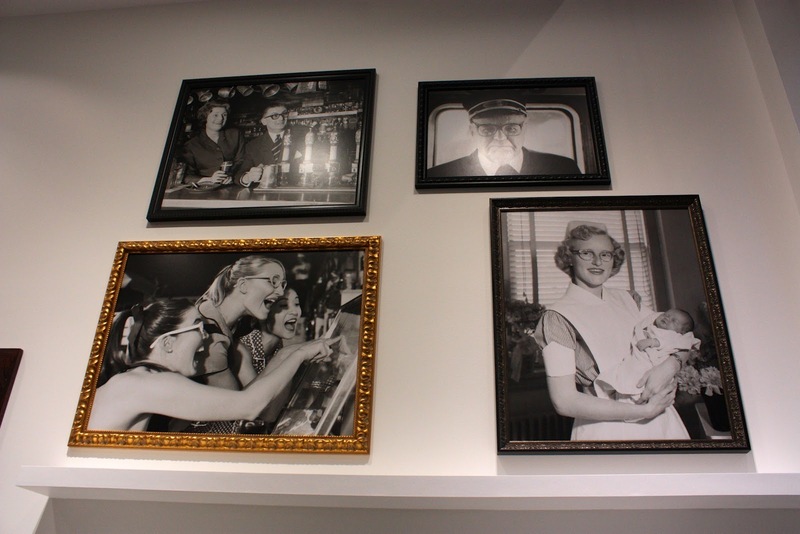 The framed photos all over the walls were super rad, too! 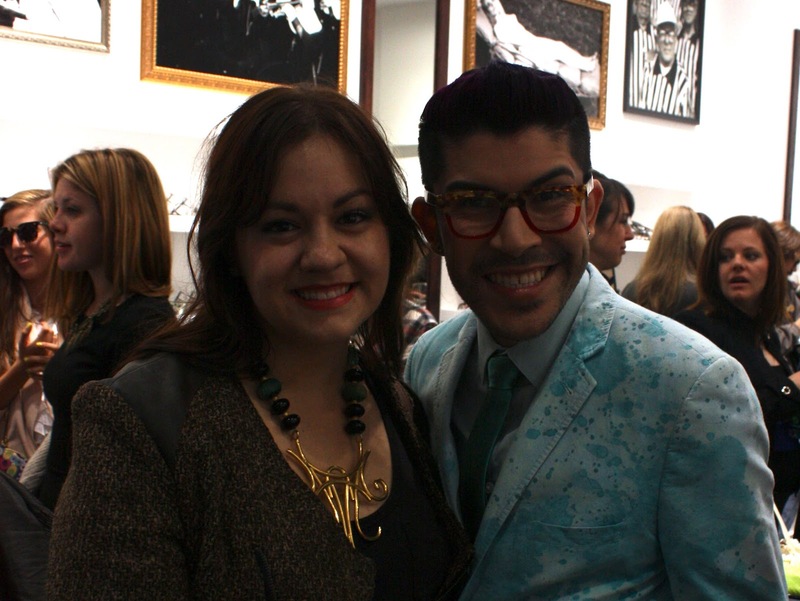 It was such a thrill to meet one of my absolute favorite designers from Project Runway. He was such a sweet fella and he totally made my night when he complimented my necklace! 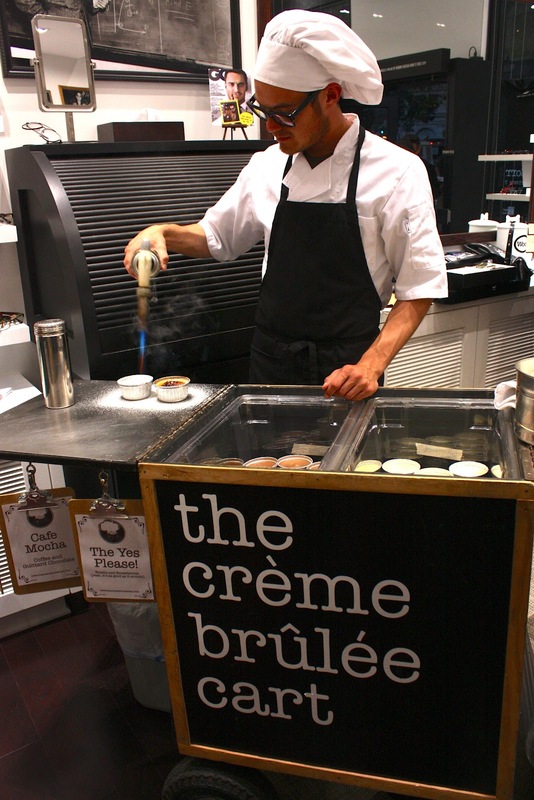 The Crème brûlée cart was a huge hit with the party-goers! 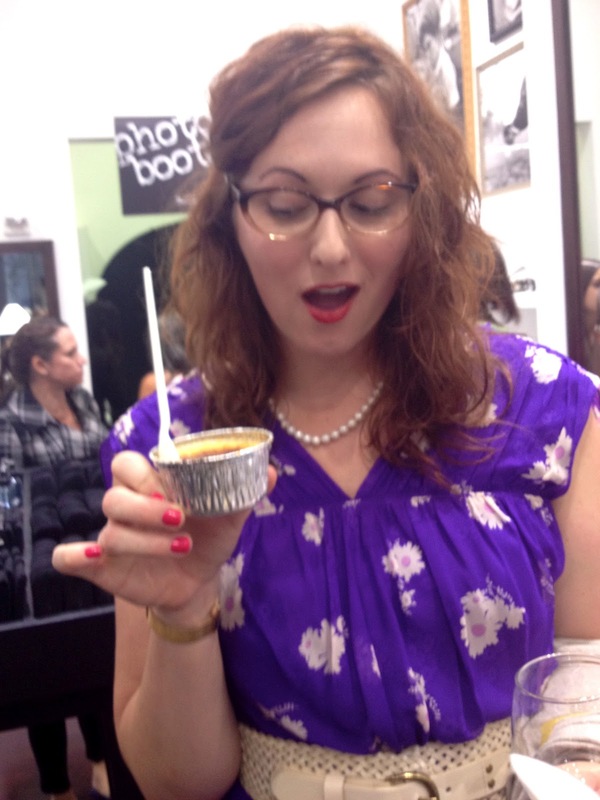 Rebecca of Thirty-Five Inch Inseam is looking adorable with her tasty treat! 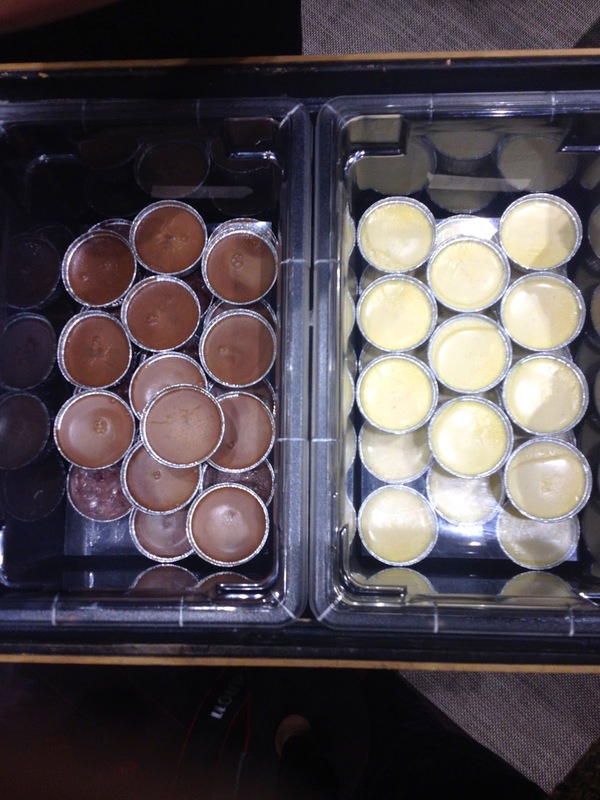 And, like any good party, the host didn't send us home empty-handed! 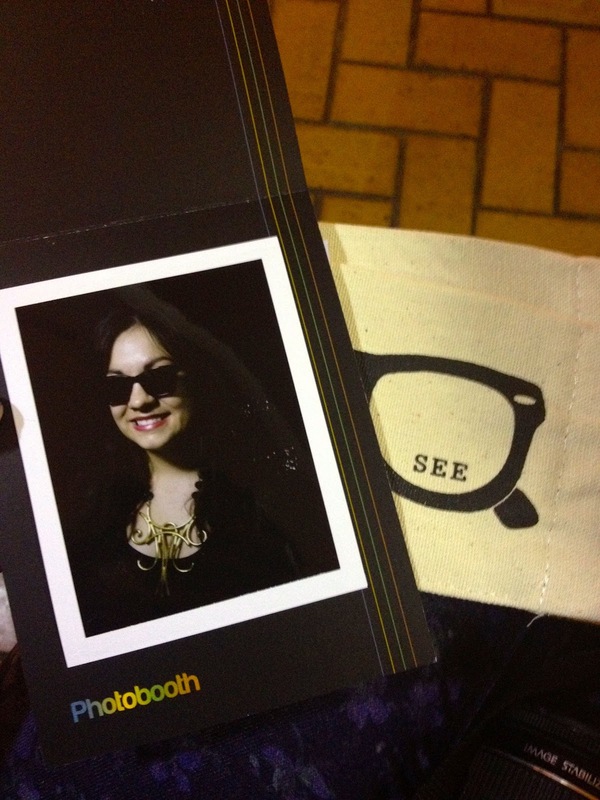 I got a fun snap wearing some SEE sunglasses from the folks at Photobooth SF and a SEE eyeglass case! Too fun! 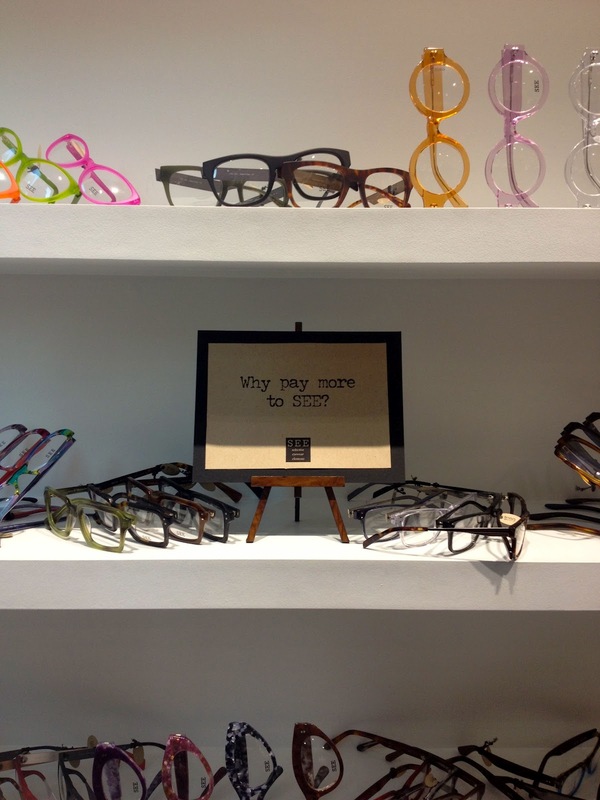 I LOVE my local See Eyewear! 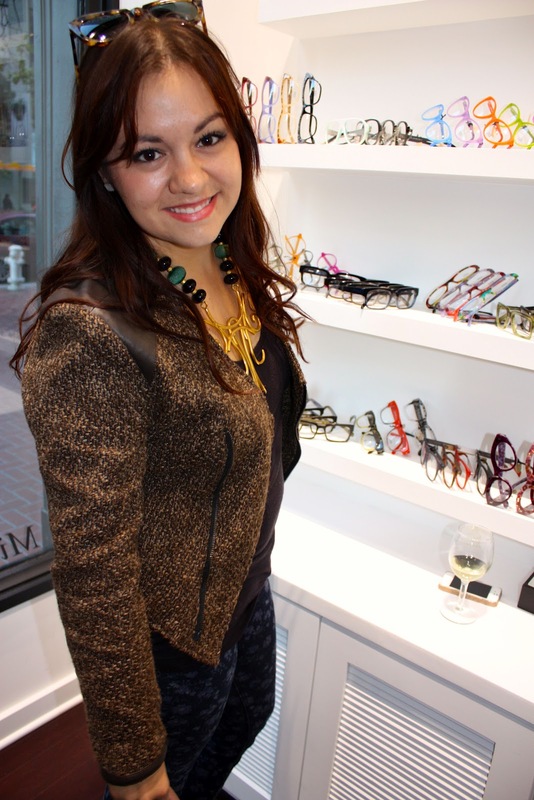 It is where my cat eye frames and my prescription sunglasses are from. 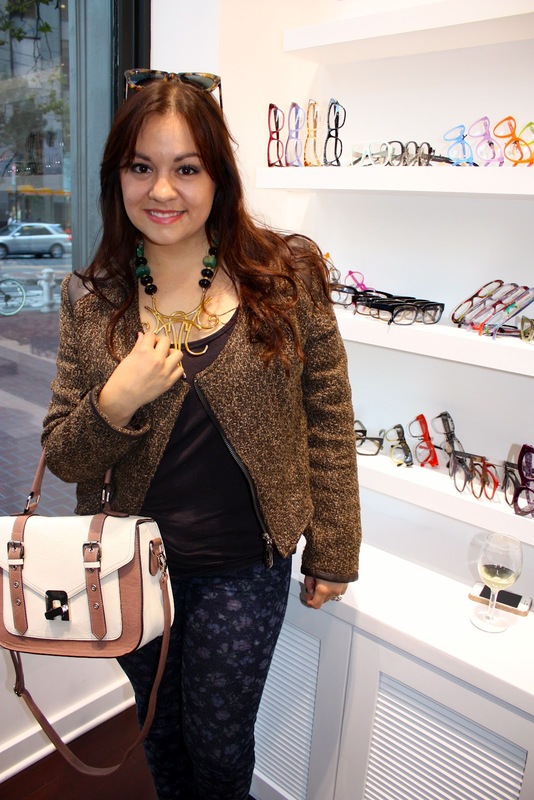 I literally get complimented at LEAST once a day on my glasses. I love them so much!